The new Chairman of the national Youth Forum wants to see more counties introduce Youth Forums so that younger members’ voices are represented. Megan Watkins, 18, from Crasswall YFC in Herefordshire, was elected as the new Chairman of the Youth Forum at the weekend during the group’s Residential Weekend to Edinburgh. Megan has been a YFC member since she was 10 years old and joined the Youth Forum after winning the West Midlands Area’s Junior Member of the Year award. “I am delighted to be elected as Chairman of such an enthusiastic group of people as I feel it is crucial that we get the voice of junior members heard at a national level. “With over half of the membership under the age of 18, the Youth Forum is vital to making sure all members discover just how great it is to be involved in YFC. I am determined to encourage all counties to have a Youth Forum as well as ensuring ongoing and new projects thrive,” said Megan. 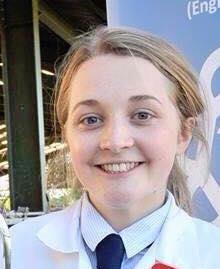 Charlotte Scott, from Somerset FYFC, was elected as Vice Chair of the group and will support Megan in her new role. Also during the weekend, Freddie Wooton, Nick Bundy and Rachel Black were co-opted on to the group. 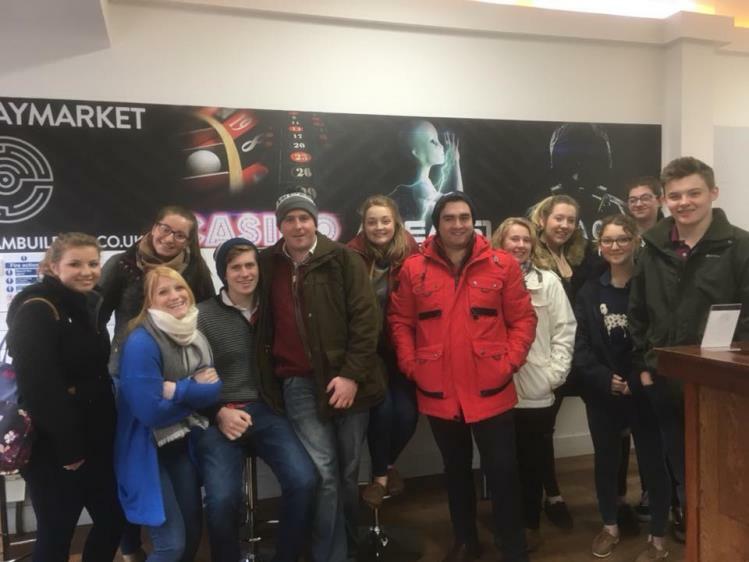 NFYFC Chairman of Council Ed Ford joined the Youth Forum on their Edinburgh adventure, where members enjoyed quad biking, clay pigeon shooting and a problem solving challenge at the Escape Rooms. The national Youth Forum was formed in 2010 as a way for younger members to have their voices heard within the organisation. The forum is made up of the finalists of the Junior Member of the Year competition plus an elected representative from each of the NFYFC Areas. The Youth Forum meet up three times a year, run loads of exciting projects and feed into the NFYFC Council to make sure NFYFC continue to run great competitions, events and activities for younger members.